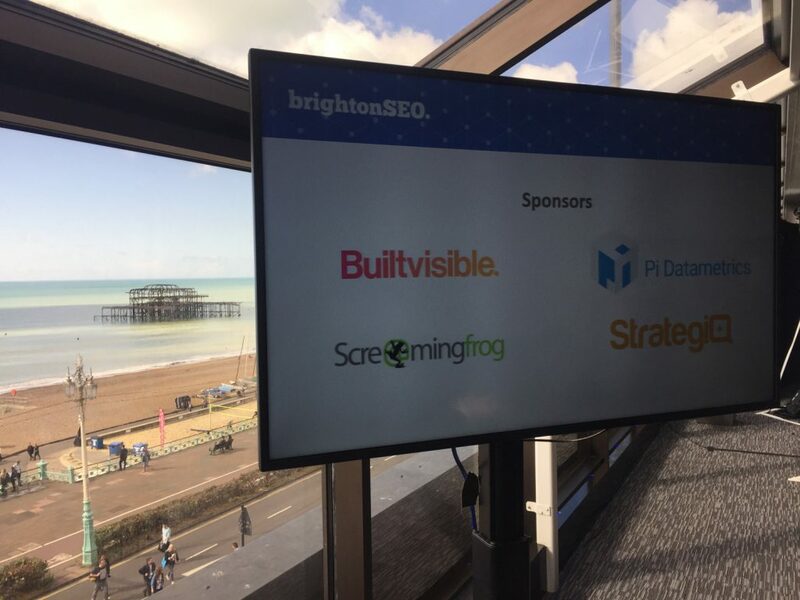 Last week our digital marketing team travelled to Brighton for the bi-annual SEO conference, BrightonSEO. 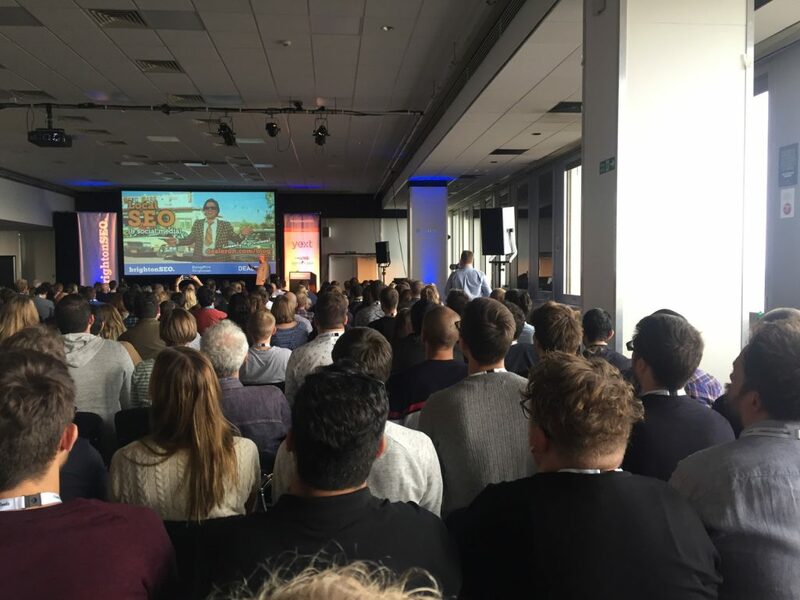 As the biggest SEO conference in the world, it offered a huge choice of quality speakers and the team separated to see as many different talks as possible. Throughout the talks, the passionate speakers confirmed the strategies we already use and highlighted some additional tools that could complement our research and data collection efforts. Throughout the motivational day, it was clear online marketing continues to evolve for the better. 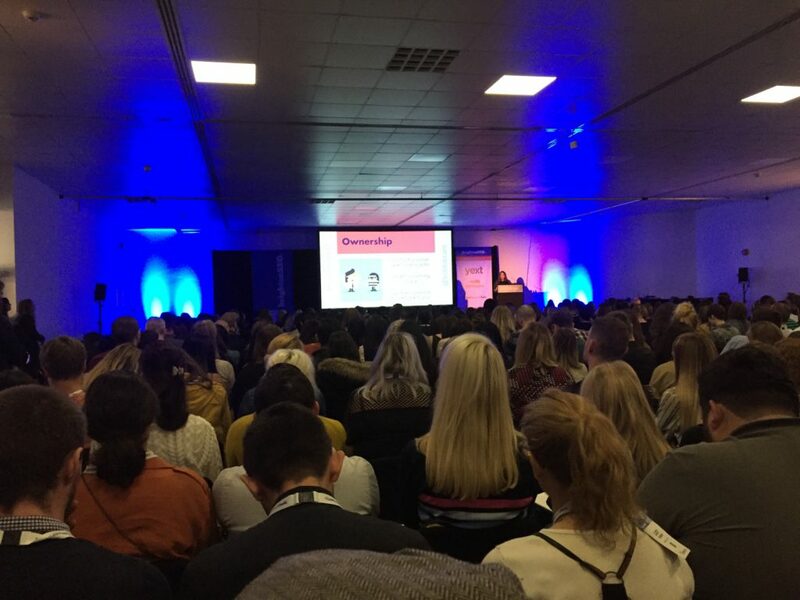 Below, we share our key takeaways from the conference; if you have any questions or are looking to improve your digital marketing, don’t hesitate to call our team on 01403 261 491. You can use free data – open sourced data from the government, the Kauffman Index – to find statistics to fit your niche and make your content newsworthy. Make use of expert third party bodies to add authority and a hook to your features; the trick is to apply it to your business and do something different and relevant with the data. You don’t always need an asset such as an infographic, but when you do, there are free tools such as Piktochart to use. Be aware that many top sites no longer take third party assets; they may use the data and credit you without using your designs. This is still a good placement and part of the process. It’s not about arrogance, it’s about believing in yourself and your content. You’re not asking for something, you’re giving something that should add value. It’s essential to reflect this confidence in pitching. Reviews are the number one influence on local reputation. They give consumers an impression of what they can expect from your company and assist users in speeding up the decision process. This is a win, win when you spend the time building up a good reputation. In short, every business should focus on reviews as they have the power to improve ranking, improve click through rate, boost landing page conversions and underlying trust. As reviews are social proof, they should be achieved on at least a monthly basis so they are up to date; reviews older than three months are easily discounted by users. Once you have a process in place to get reviews (either through your own in-house team, or agency), focus on Google reviews and leading websites, including those created for your niche. Remember, reputation isn’t confined to just being seen online, it works across all marketing points. You can tweet out asset cards and promote on Facebook; with ads and mailers, include your star rating. “Links have wildly different strengths and there is no magic number to achieve”. Although, a ‘link goal’ can be estimated based on competitor research and the links of pages that rank above you have, always remember, quality matters over quantity. For any sustainable link building, or online PR strategy, you have to be informed on the right places to get placed online and the right influencers to speak to. Once you have journalists and editors to contact, you have to engage them with your idea. Due to the time involved in achieving links, it is important to always monitor results and learn from the process each and every time. Most tools offer a percentage of a site’s backlink profile but does not show the full story. You should always collect your backlink data set from as many sources as possible, as you need it to be comprehensive. Anything less does not provide you with all the insight you need; just one historical link could really be putting your website at jeopardy. Good links – Keep and encourage more. 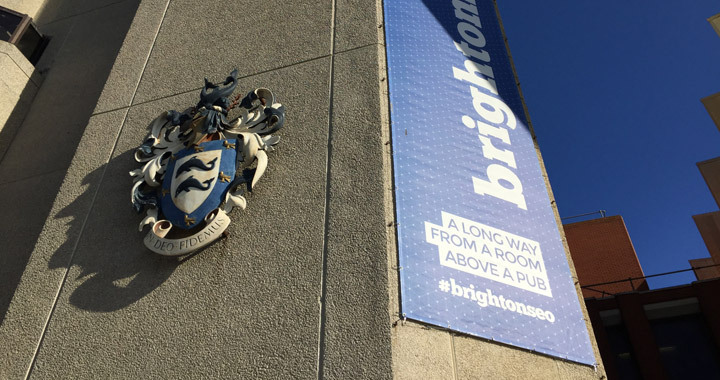 Ugly Links – Repair them. Older backlinks could be pointing to a 404, or a page with out of date information. Check more than the source of the backlink; see what page it is pointing to on a website. Check the relevancy and security of third party sites which link back to you as they could be impacting your rankings. A site with Malware will display an error message which stops a user accessing a site. However, the backlink from their site to yours could still pass Malware through to your website. If you have redirects which send people to 404s, don’t just presume they are not interested. Retarget customers on the error pages to bring them back into the sales funnel of your website. 50% of all web traffic is now on a mobile device so you need to invest in mobile user experience. It’s through mobiles that potential consumers will more likely complete ‘near me’ related queries where Google presents a map of nearby businesses. If you’re on this map and in the search results, it’s encouraging to know 76% of people who use location searches will visit a business within one day (local search is so important for bricks and mortar stores). Looking ahead, voice search be useful on mobile devices. When this becomes mainstream, users will be searching with their voices rather than typing with fingers, meaning long tail queries will reign. Whilst this isn’t a concern right now, it’s something to consider for the future. To find journalists/influencers – Vuelio, Meltwater, Buzzsumo (Also Rapportive to show LinkedIn profiles in your Gmail). While these are just some of the key takeaways, they highlight the importance of a consistent marketing plan across SEO, social, reviews and onsite content.